This chandelier consists of a ceiling rose to the top leading down to a decorative central column. The eight scrolling branches have leaf decoration with bobeche drip pans and candle sconces. 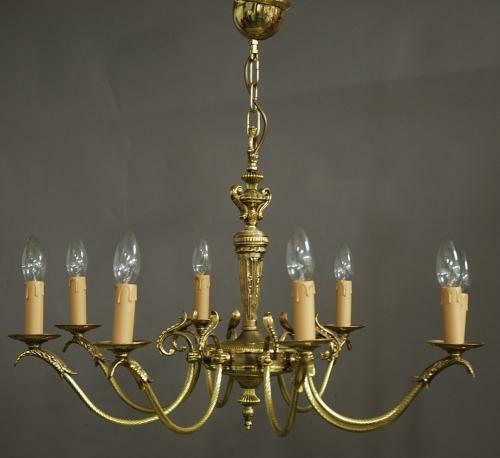 This chandelier is in very good original condition and has been rewired. Once purchased this would need to be fitted by a qualified electrician before use.